Help with our trip planning--is this too much? So those of you who live in Scotland or have traveled there--we are from USA and are planning a two week trip (celebrate my 60th birthday!). My husband and I love nature--hiking and wildlife watching and such, are Outlander fans and I am very interested in archeology especially the neolithic. There is so many places that look interesting but after looking at web sites and pouring over guidebooks I have narrowed it down to a few places that look the most appealing. First two days in Edinburgh as that looks like the cheapest place to fly into--then up to Kilmartin for two days to see the neolithic sites there, then to Skye for two days to see the Fairy glens, and then I saw a B&B between Glen Affric and Inverness which looked like a nice place to stay for maybe 4-5 days and do some day trips in that area, then up to Orkney to see the neolithic sites there for two days then a long drive back to Edinburgh to stay the night or stay somewhere in between--depending on when we get a flight out. Is that too many places to try to see? I thought maybe I would need to cut out one of the two day trips and add on to the others. 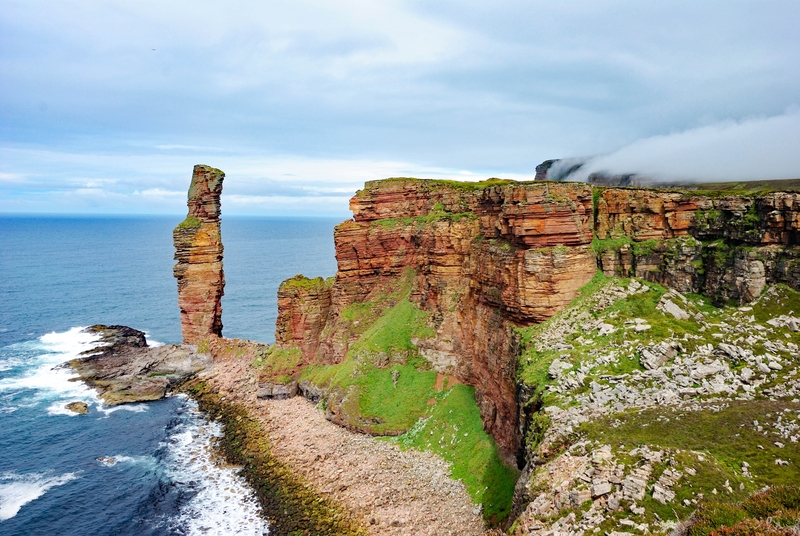 Orkney seems a bit out of the way--is it worth it? I asked on another thread about renting a camper van and staying at campgrounds but I am leaning more to the B&B idea now. Hi @DebrahR, Is this your first time to Scotland? You need to know that the roads can be very small & narrow in places and what seems a short distance on the map is actually hours on these kind of roads. Sure you need to see as much as possible but is there a chance of a second trip? Your route is long but not impossible. It is a little ambitious that I think that you may need a another holiday when you get home. Visit Scotland has a great Outlander map that you can download. As a fan myself I have visited lots of the filming locations so if you have any questions, just let me know. The fairy glens & fairy pools on Skye are great. 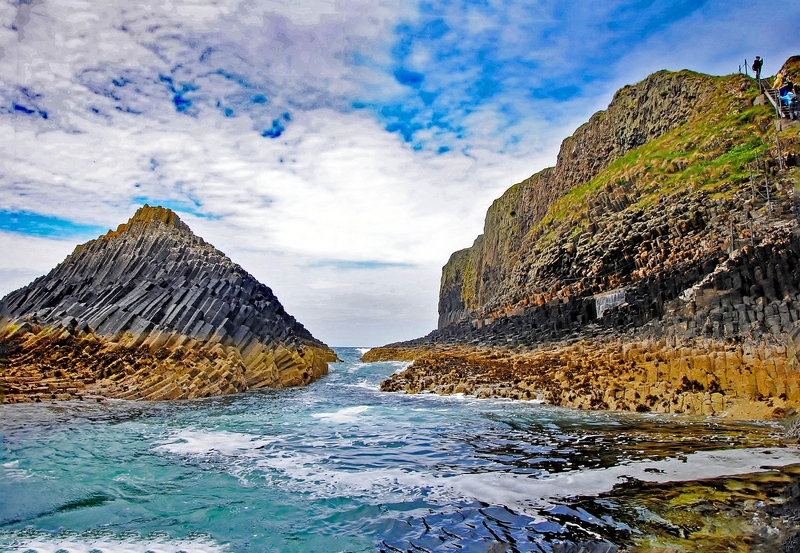 Don't forget Dunvegan Castle and afterwards visit the Coral beaches, stunning. As for the Neolithic sites, I am not really a fan but I am sure that Visit Scotland or Historic Scotland will be able to help you out. Hope this gives you some help. If you need more then just ask. Thanks for your reply--yes, this will be my first time to Scotland (actually first time overseas at all!) good to know about the roads. I am thinking maybe leave off Kilmartin or Orkney--they both have a lot of neolithic stuff to see so maybe one would be enough. This is probably going to be a once in a lifetime trip--we are not all that well off so saving for this trip is going to be a stretch! I think you are correct in choosing one from Kilmartin and Orkney. Where Argyll is really beautiful as well, I would pick Orkney over most places in Scotland. There are a huge number of neolithic sites, some are almost taken for granted (like Drawfies Stane in Hoy). Plus it has some unbelievable cliff walks as well as day trips about to one of the 70 islands. It is also home to some of the best beer (Swannay), whisky (Highland Park & Scapa), fortified wine (Orkney wine company) and meat in all of Scotland. I'd recommend atleast 3 days on Orkney. However, if you do pick Kilmartin, do not miss out on the Isle of Staffa. It is absolutely one of the most unique places to see in the world. Boat day trips leave from Oban. I love neolithic sites and have visited Kilmartin frequently, but I would agree if you can only see one of these places, then go to Orkney. I will be revisiting there in May and will be driving from my home in Argyll. There are different ferries you can take, but my preference is to drive up to Gill's Bay for Pentland ferries - near John O'Groats. If you have not driven here you should know that renting a car you'll be given one with manual transmission, but you can easily ask for an automatic. Traffic circles in the US are much easier than roundabouts here, so you'll want to learn the rules which you can find online. Scotland may look small on a map but it is full of lochs which make any trip longer than it appears.